The Intellicode 2 Access Security System provides state-of-the-art security for your home by automatically changing your opener s access code every time you push the remote control button. 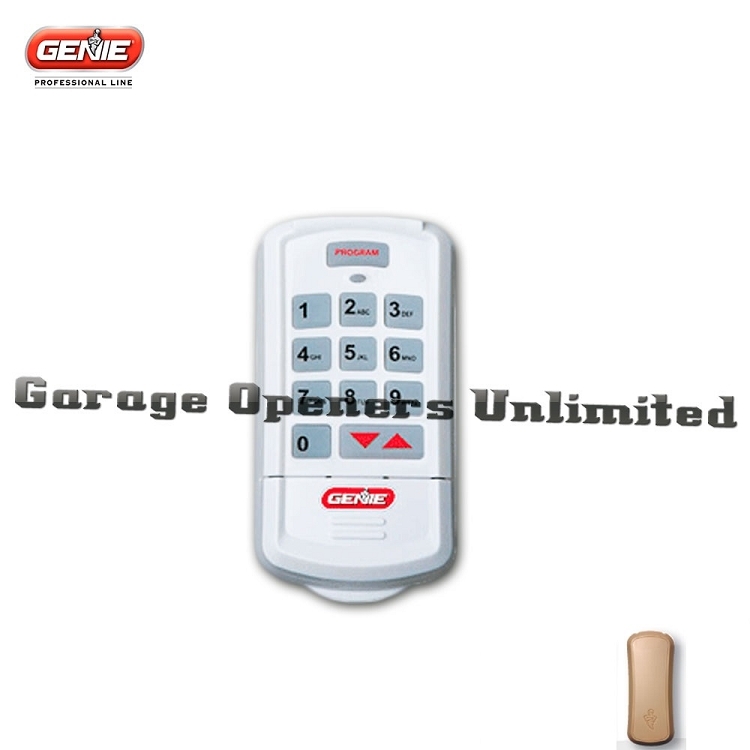 This prevents an unauthorized person from stealing the access code to your opener system and gaining entry to your garage. Here's how it works: Conventional garage door openers are coded to send out the same fixed code time after time. Genie s superior encryption technology, also known as rolling access codes, uses a proprietary coding system that selects a new code from billions of possible combinations each time the system is activated. Wireless Keypad Entry System with Intellicode.